French President Nicolas Sarkozy could reappoint outgoing Prime Minister Francois Fillon, CNN analyst says. (CNN) -- French Prime Minister Francois Fillon resigned Saturday, setting the stage for an expected cabinet reshuffling. President Nicolas Sarkozy accepted the resignation of Fillon and his government, Sarkozy's office said. The expected move came weeks after the French parliament passed controversial pension reform, sparking protests. Fillon's resignation gives Sarkozy the opportunity to shake up the current leadership of some ministries, said Christian Mallard, senior foreign policy analyst for France 3 television. 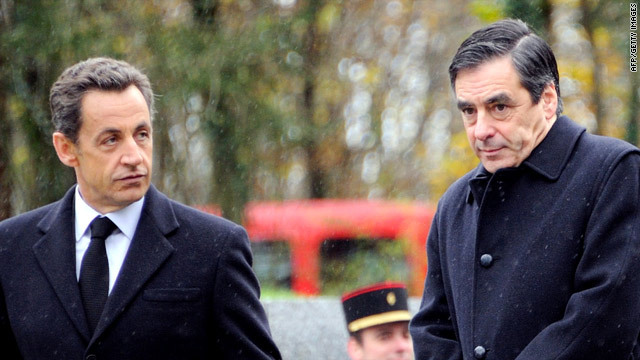 It's very possible Sarkozy may reappoint Fillon, as early as Sunday, Mallard told CNN. The new prime minister would form a government. "The French like him," Mallard said of Fillon, a moderate conservative. "A lot of people think it would be a mistake for Sarkozy to fire him." The resignation may accomplish something else. "The future government will be downsized, maybe from 28 to 16 (ministers)," Mallard said. Sarkozy faces re-election in about 18 months and has many issues on his plate, including the economy and unemployment. Fillon has been a calming influence, Mallard told CNN. "He is always the guy who never loses his temper."